There has been news in a section of media in India regarding changes in the Indian Railway’s Tickets-cancellation/refund rules. 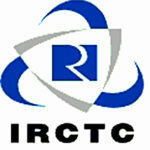 According to the news hereinafter ‘No Refund’ would be made for cancellation of all the confirmed train tickets booked. 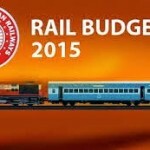 The Indian Railways has confirmed, on 24th February 2014, that there is no change in the Refund Rules, which have been notified in June 2013 and have been brought into force with effect from 1st July, 2013. According to the notified refund rules, passengers on a confirmed ticket can avail refund up-to 50% of the fare provided the ticket is cancelled within 2 hours of the departure of the train. All the rules regarding cancellations and refunds of train tickets booked at tickets booking counters, I Tickets and E Tickets would remain unchanged. However, ‘No Refund’ will be granted on cancellation of confirmed Tatkal tickets. For contingent cancellation & Waitlisted Tatkal ticket cancellations, prior to the preparation of the charts for the trains, charges will be deducted as per existing Railway rules. Partial cancellation of Tatkal e-tickets is allowed but at least one passenger with ID card printed on ERS/VRM should not be cancelled. 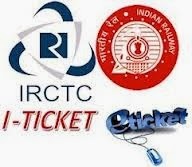 On cancellation of all the passengers whose ID card details is printed on ERS/VRM, all the passengers on that e-ticket will be cancelled. 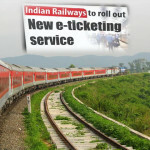 How To Book Train Tickets Online Without Bank Cards? Who will break Sachin Tendulkar’s Records in Cricket?